I let everything dry and then put it all back together. Easy and done! 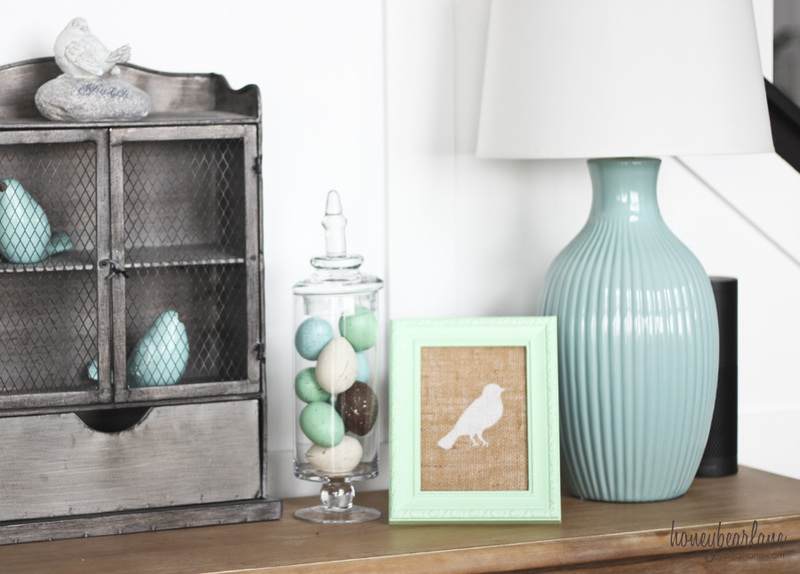 I love this cute little spring vignette. The table is my favorite–Everett console table from World Market, seriously everyone should have one of these. And with a couple of cute and colorful accents and plants, it comes to life with spring! This post was sponsored by DecoArt, all opinions are my own. Linked up with Eclectic Red Barn, Tidy Mom, The Pin Junkie and Saving 4 Six.